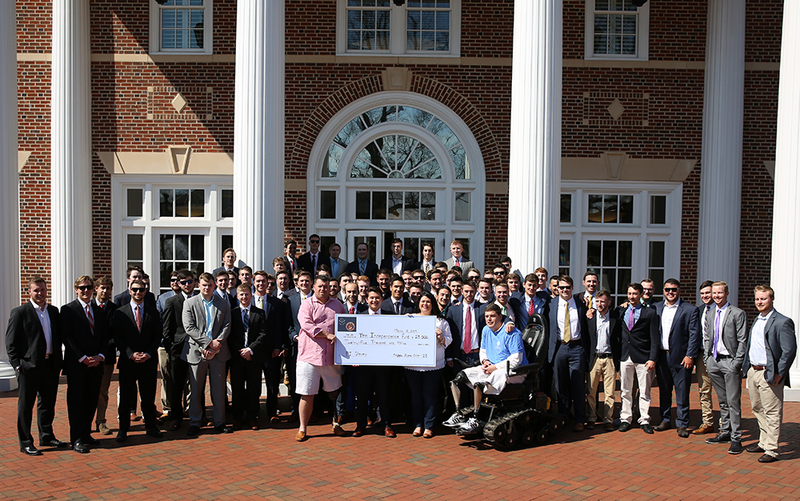 Members of High Point University’s Kappa Alpha Order fraternity and representatives from The Independence Fund present a check for $25,000 that funded a Track Chair for wounded veteran Patrick J. Glavey. HIGH POINT, N.C., March 18, 2017 – Patrick J. Glavey, a Marine who lost both legs from above the knee while fighting in Afghanistan, can pursue his dream to build a tree nursery and vegetable farm with his family thanks to a Track Chair he received from High Point University students today. 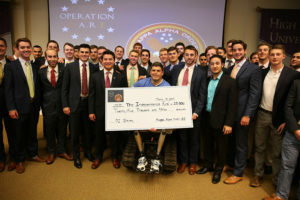 For the second year in a row, HPU’s Kappa Alpha Order fraternity raised $25,000 to purchase a Track Chair for a veteran. 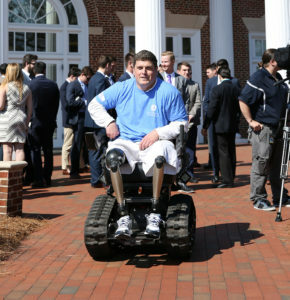 The fraternity partners with The Independence Fund and Heal Team 6 each year to award the special all-terrain chair, which allows wounded veterans like Glavey to regain mobility and independence. Glavey is pictured using the Track Chair after the event. Glavey served as a Marine until 2010 when he was injured while on deployment in Afghanistan, resulting in the loss of both legs above the knee. Following his injury, he spent a year completing rehabilitation at the Naval Medical Center. He is currently focusing his efforts on growing a tree nursery and developing a permaculture-based vegetable farm. The chair will be instrumental in helping him achieve this goal, as hauling and carrying large, heavy items has proved extremely difficult on prosthetics or in a manual wheelchair. He said the chair that Kappa Alpha Order and The Independence Fund are providing will allow him to complete the work necessary to provide food and trees to the community around him. 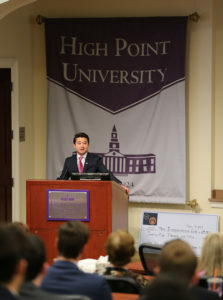 The project has been led by HPU senior Michael Esposito, the fraternity’s past president who spoke to students and community members at today’s event, where the chair and a check for $25,000 were also presented. 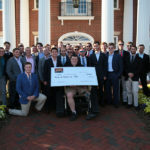 Through last year’s event and this year’s event, the brothers have raised more than $50,000 from donors in 32 states. Michael Esposito, HPU student and past president of the fraternity, spoke to the crowd about the organization’s passion for helping veterans. Sarah Verardo, director of development at The Independence Fund, is also the wife of Mike Verardo, who received the Track Chair at last year’s event. She said the HPU students hold a special place in their hearts. High Point University frequently honors the sacrifice of our nation’s veterans and the principles upon which our country is built. 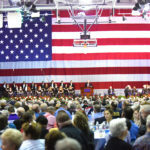 In November, HPU honored 1,000 veterans and their family members at the university’s annual Veterans Day Celebration. 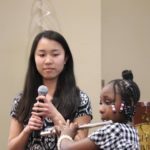 The Independence Fund (www.independencefund.org) is a 501(c) 3 organization. 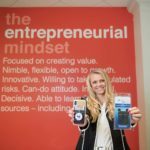 Donations to the Fund are tax-deductible and help provide injured troops with the tools, therapies and guidance that they might not otherwise receive. 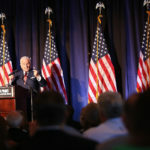 Independence Fund has distributed more than $20 million in grants and services to qualifying veterans including track chairs, custom cycles, and retreats for the veteran family. 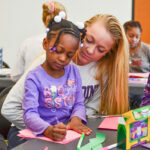 HPU’s “Day of Service” Honors Martin Luther King, Jr.